Do you wish that you had more storage space in your home or office, but have found areas like your garage or attic filled to the brim with unwanted junk? Have you been struggling to find the free time to deal with your clearance problems? Do you need to find a house clearance company that’s affordable and experienced, and that can serve properties in the SE21 postcode district? 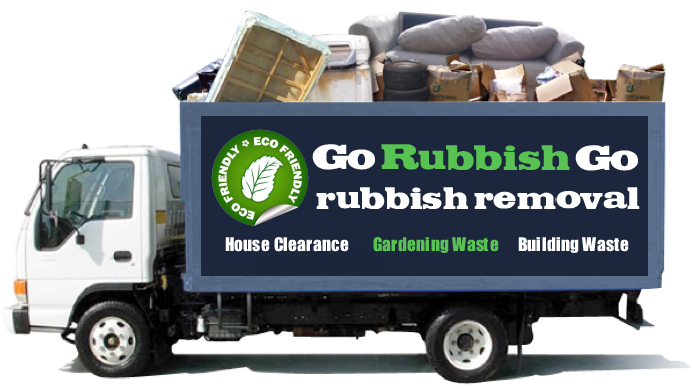 With our years of experience and range of fantastic guaranteed property clearance services, Go Rubbish Go. is the only Dulwich rubbish clearance company that you need to call for help with clearing up your life! 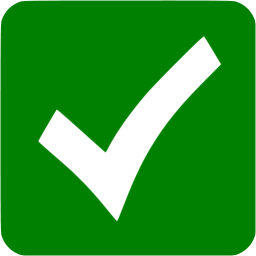 Not only will our friendly and unobtrusive teams make quick work of collecting your unwanted goods or junk, but we’ll also dispose of it using green and eco-friendly methods, for a fantastic quality of service that can’t be beaten! 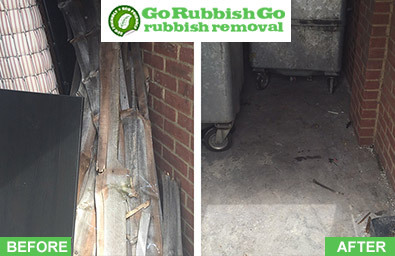 We have an exciting range of SE21 rubbish removal services suitable for every room of your home or office, and we can even help you in your garden and basement too! If you want to find out more, why not get in touch today? Call our team in Dulwich, SE24 on 020 8610 9182 now to learn more about our SE21 waste collection services and prices! Call Now For The SE21 Junk Removal Services You Can Rely On! No matter how big a job you might have on your hands, our experts can help you. 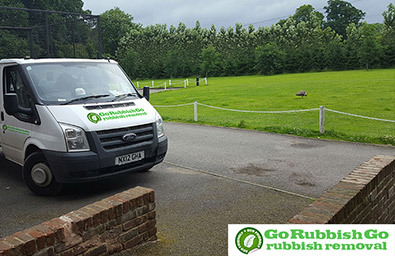 Our fantastic range of professional services includes everything from garden waste clearance to general rubbish removal, meaning that you can find everything that you need and more with our assistance. Go Rubbish Go. won’t just give you a top-quality Dulwich waste disposal services, but a competitive and pocket-friendly price as well, so that you can afford our five-star help even if you’re on a budget! If you, like me, are ever in need of a fast-acting rubbish disposal company in SE21, call this crew up! They came to my workplace in Dulwich just a couple of hours after I called them and took away all the old, broken down office equipment to be recycled. Thank you for the swift response! The Greatest Dulwich Waste Collection Experts Are Here for You! With price estimations available and with no hidden fees, contact us now and see how much money you could save! Our SE21 waste removal professionals are just waiting to transform your property into a spacious and beautiful workspace or living space, without the need for you to put in the work. We can save you time, hassle and effort with our rubbish collection and disposal services, so if you live in Dulwich why not get in touch now? We serve the entire SE21 and SE24 areas, so no matter where your property might be, we’re just a phone call away. Dial 020 8610 9182 now to speak to an expert! If the builders have just left and you don’t want the mess they’ve left to clutter up your home for a second longer than is absolutely necessary, you can take advantage of our same day service. Call 020 8610 9182 now and before you know it your waste clearance SE21 specialists will be at your door and ready to clear out all of the excess mess that is ruining your newly fitted kitchen. We know how frustrating a house full of mess can be, but with our same day waste removal service, you will never have to worry again! 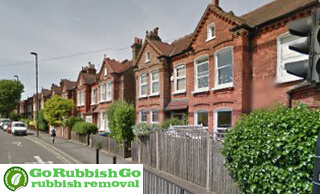 Take advantage of the best rubbish disposal in Dulwich, SE21 today, and your house will be spotless before it gets dark! Dulwich is found in south London, with the majority of the area falling under the London Borough of Southwark, though some places are considered to be part of the London Borough of Lambeth. Dulwich’s postcode districts include the SE21 and SE24 areas, and it comprised of West Dulwich, East Dulwich and Dulwich Village. Its closest neighbours include Camberwell, Crystal Palace and Denmark Hill. There are many exciting landmarks to be seen in Dulwich, including Dulwich Park, an expanse of greenery that dates back to the 1890s, and now has duck ponds, rowing ponds, children’s play areas and more. There are also many beautiful buildings to be found, including the All Saints Church, which is a prime example of Gothic architecture. Travelling to and around Dulwich is easy thanks to its many bus routes, but its A roads also make commuting fast and reliable. The area is served by the West Dulwich railway station for even faster transportation.